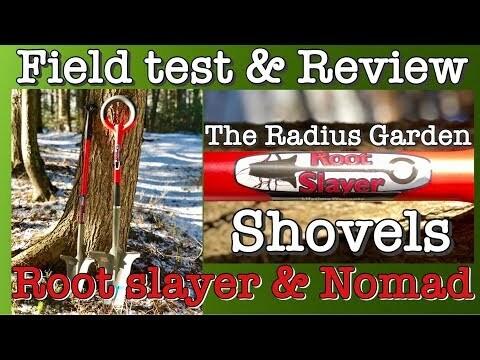 As soon as we released the Award Winning Root Slayer Shovel, we got multiple requests for a more compact version. 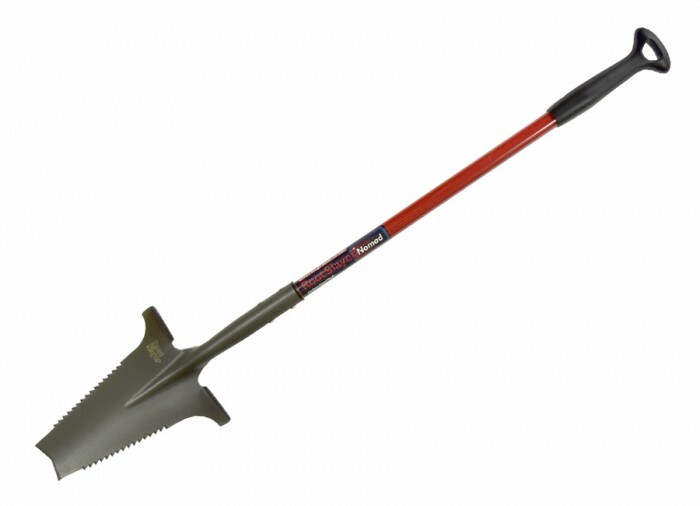 This multi-purpose digging tool is great in small spaces, raised beds, and campgrounds. 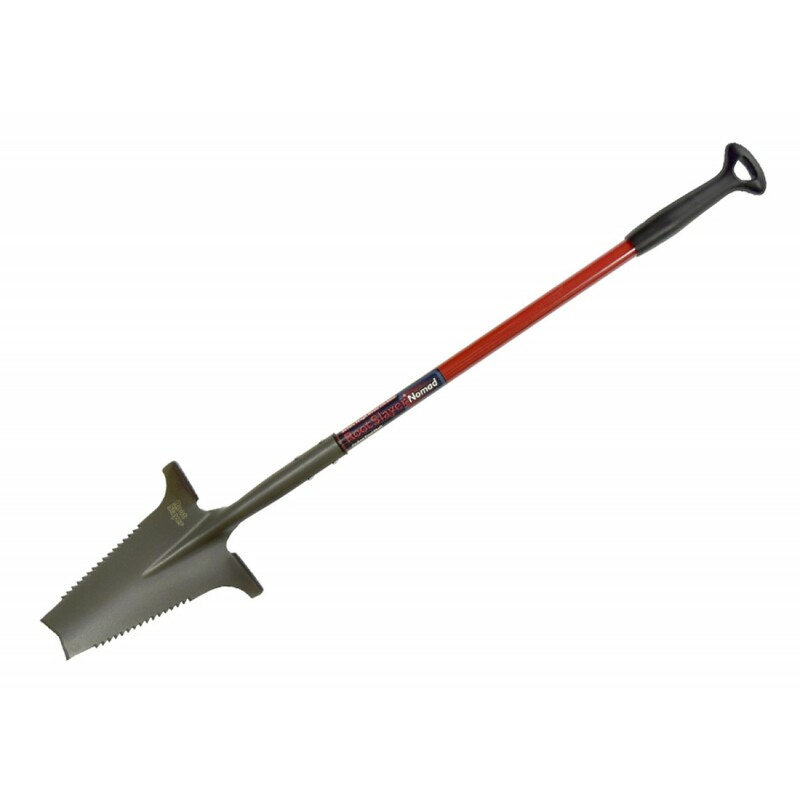 It is an absolutely awesome weeding tool. 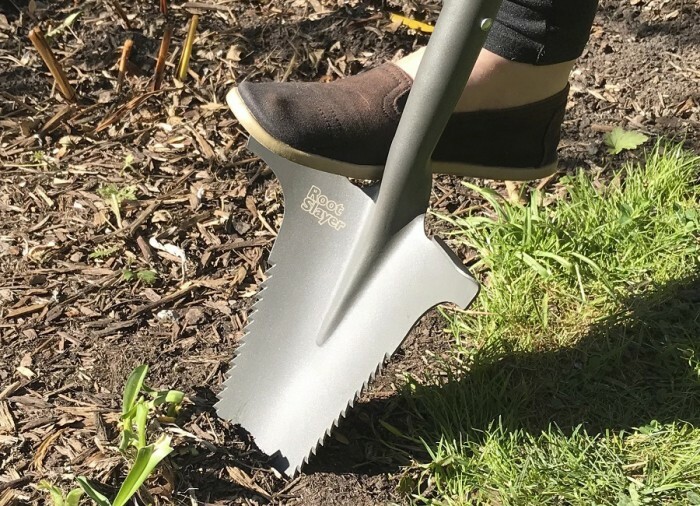 We've already used it to uproot Baby's Breath, Spotted Knapweed, Ash seedlings, Bladder Campions, Dandelions, and Curly Dock. It's amazing! 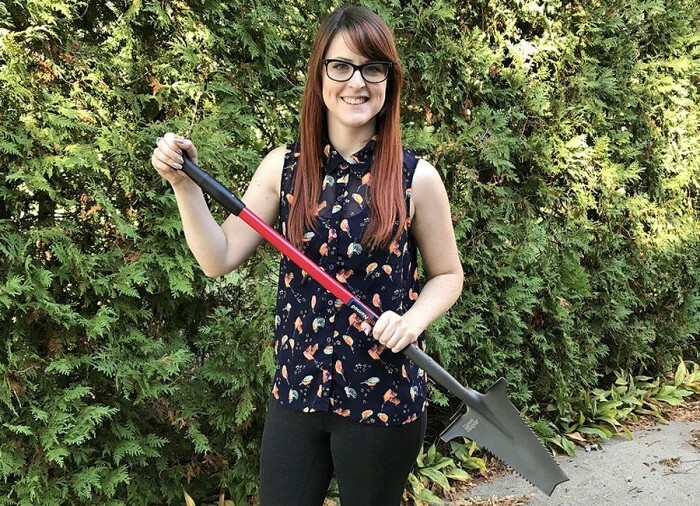 We’ve been told it’s a great metal-detecting shovel, too! 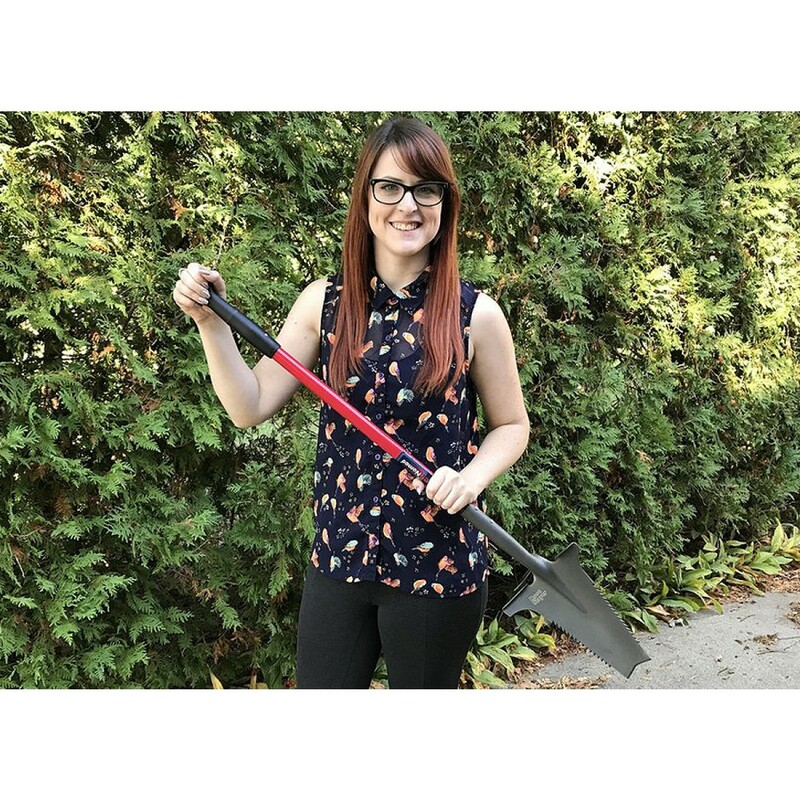 The head is about 70% of the size of the Root Slayer Shovel, making it lighter weight without sacrificing the sharp edges and strength. 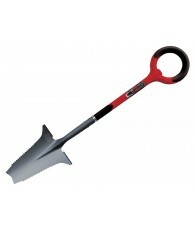 Non-bending powder-coated carbon steel shaft with a patented durable ergonomic polypropylene grip. Lifetime Guarantee. 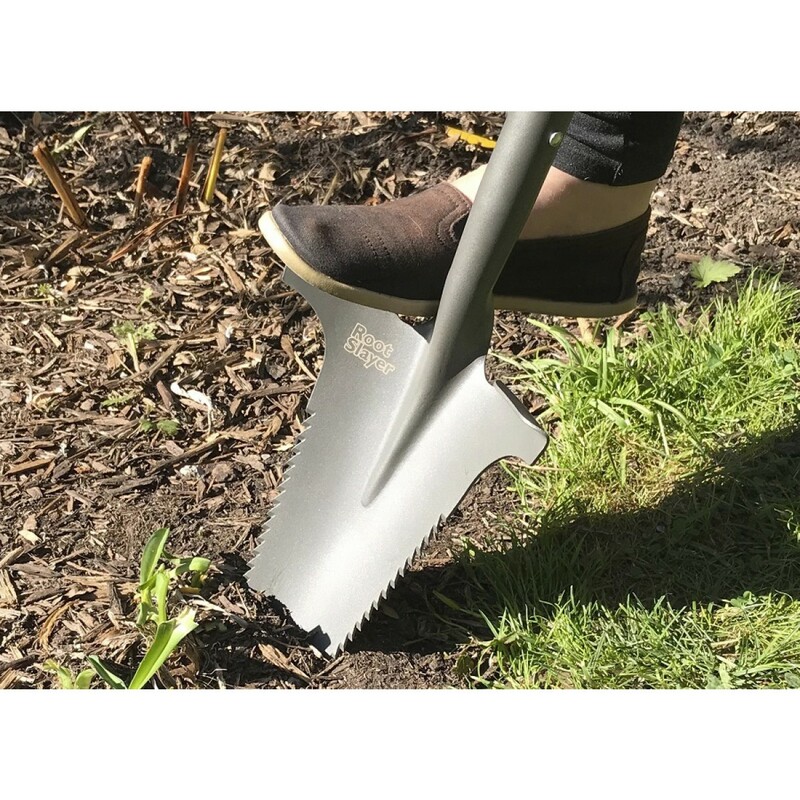 Root Slayer Nomad is a lightweight shovel that digs through sod and small roots like they're not there, with its sharpened "Inverted V" cutting blade tip and specially designed root-cutting rip saw teeth, eliminating the need for saws, hatchets, pry-bars, and more. 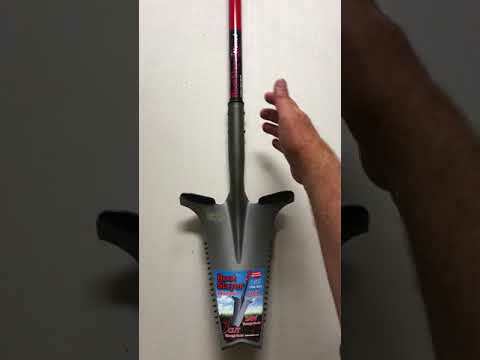 Use this handy tool for camping, metal detecting, cleanup around sprinkler heads, weeding, and many other tricky jobs required a sharp, narrow, unbending blade. 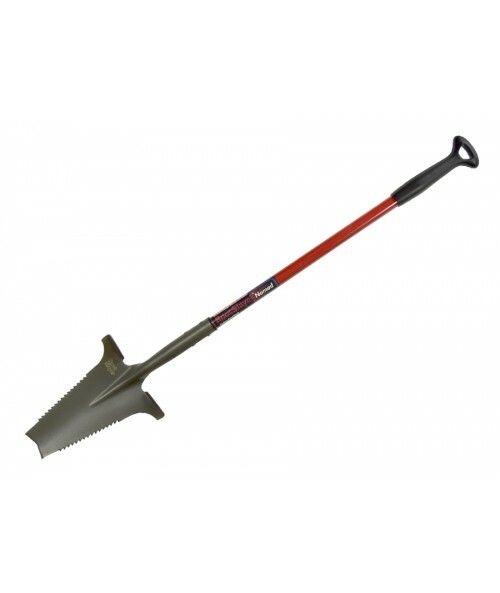 This is one of the best weeding tools for mid-sized to large deeply rooted weeds we've ever sold. Patented ergonomic Radius Paddle-Handle Grip provides great leverage while reducing hand and wrist stress. Super lightweight solid steel shaft will never bend or break. Weight : 2 lbs. 7 oz.